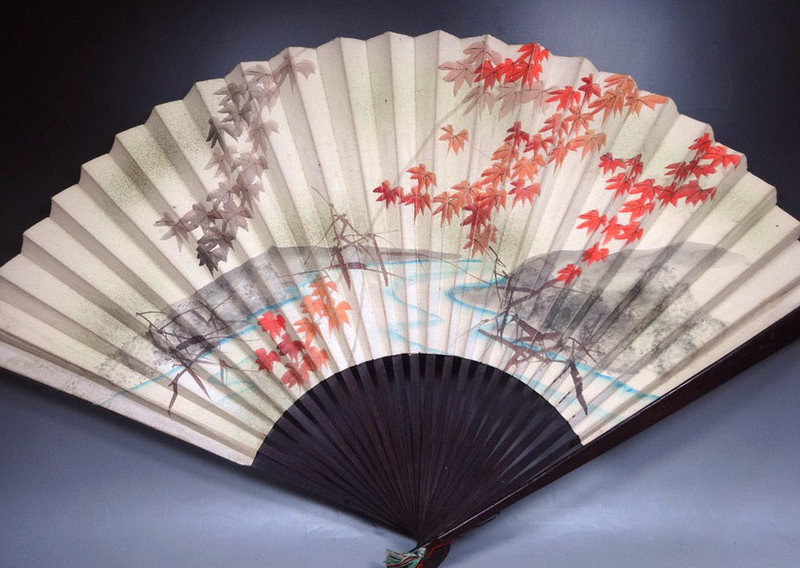 Article" Japanese Sensu Fan "
We estimate this Sensu fan was made over 50 years ago. Slight stains and other aging degradations are found (Please refer to the pictures). Although, views in the autumn are painted abstractly using Japanese traditional Sumi ink and other paints. This Sensu fan looks nice.